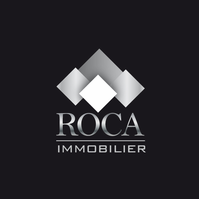 Chalet du saix amaizing chalet in Chatel - Agence immobilière : Roca Immobilier spécialiste de la location de chalet et d'appartement à Châtel et dans la vallée d'abondance. Pour un séjour à la montagne inoubliable réservez vos vacances ici. 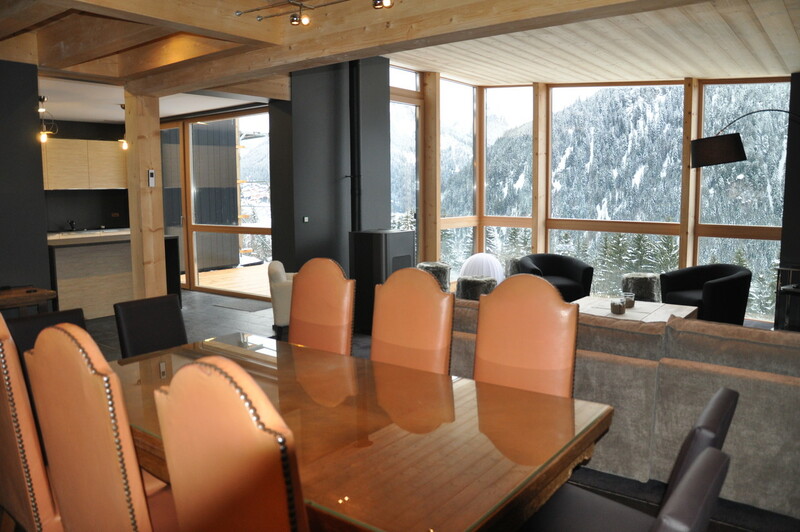 Situation: on the heights of Châtel, chalet dislocates with a panoramic view on the village and the valley. In only 400m of the chairlift of Barbossine. 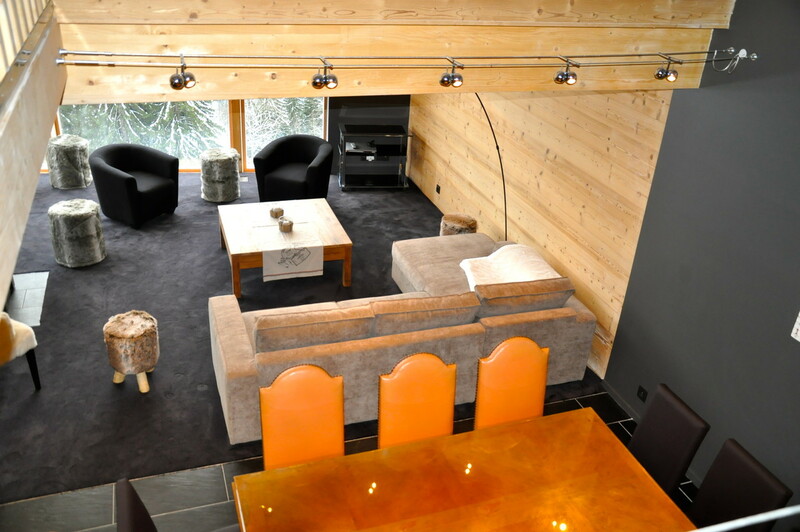 Forget all that you believe to know about chalets.... On the heights of Châtel, draws up recently a resolutely contemporary chalet. 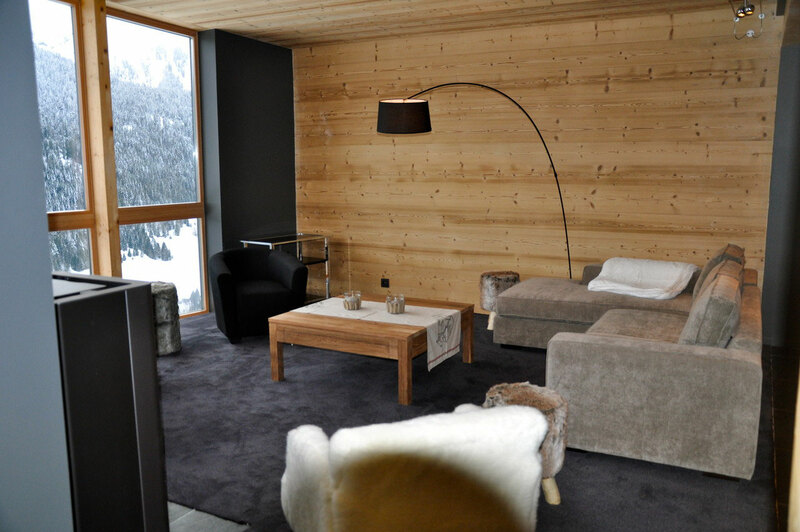 If the wood remains one of the main components of this house, the common points with a " classic chalet " of our alpine mountains stop there ... Guided tour of this architect chalet (3 housing) builds in 2012. It s tense outside architectural lines associated with the alliance of two materials of character: the black zinc well-trained and the at the same time authentic and distinguished wood, is going to reveal all the resolutely contemporary notions of the chalet, knocking down a little the agreements. 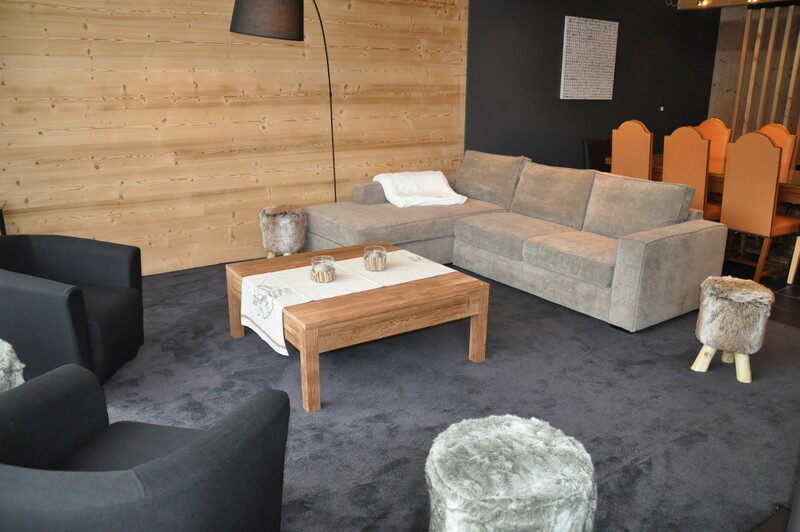 On the ground floor the entrance has a changing room opens on a vast space of 70m2 with sublime one seen on the village of Châtel. In the stay, the big height under ceiling and windows "bow window" with its view sight of exception glorify majestically the place. The beige velvet comfortable sofas accompanied with armchairs took place around the stove with granule with an automatic ignition (granules supplied in the price of location) television flat screen and a DVD player, as well as a hi-fi system. The whole invites in the user-friendliness. There also the contrast enters a modern black carpet and clear wooden walls, and the big windows give to the place an impression to be suspended in the middle of the nature. A living space has an incredible luminosity, is the ideal place to relax. We can easily reach the terrace of 12m2 directed southwest to have lunch while admiring the incomparable view on the mountain massif. 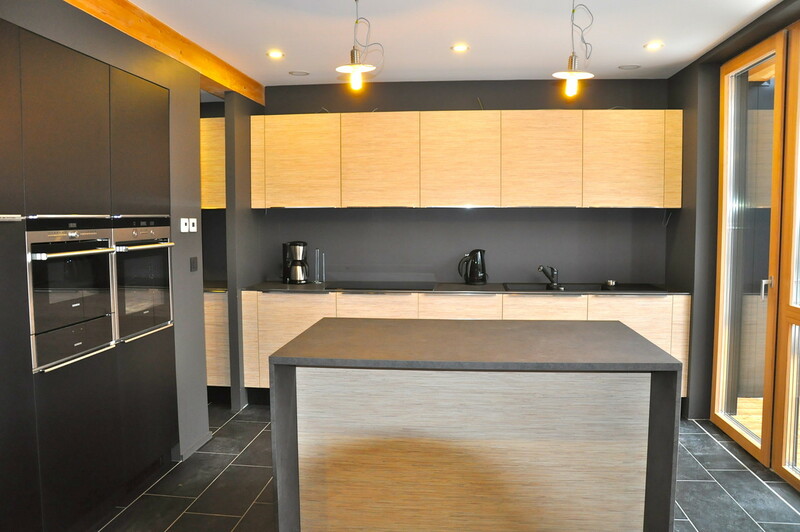 The ground in slate contrasts splendidly well with a modern kitchen. The central ilot and the bamboo aspect strengthen the technical and uncluttered dimension of the house. You will also find in this floor one independent toilet and a storeroom. On the garden level, three rooms in the elegant and cosy comfort are divided the space. 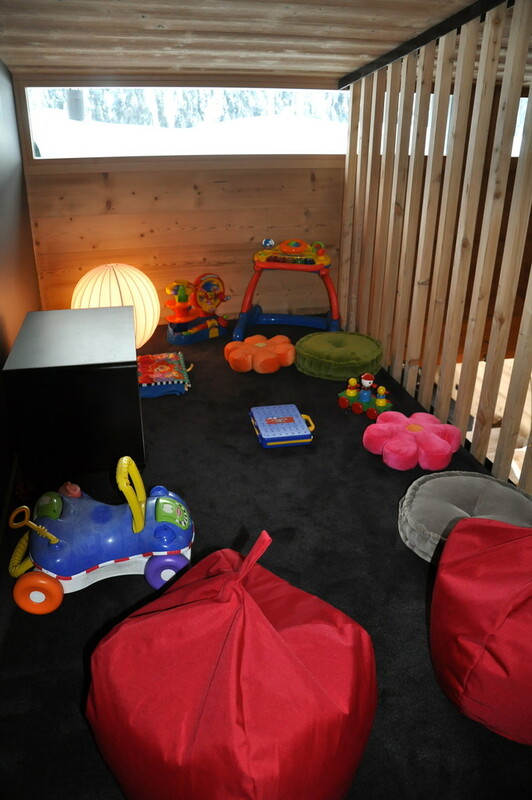 A woolen carpet every soft leaves a cosy sensation and strengthen highly-rated cosy of rooms. 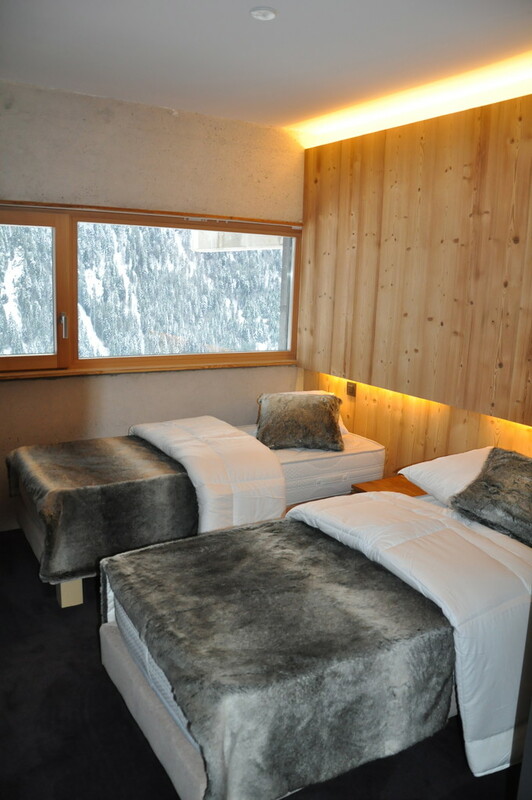 Two other rooms has also two beds of 80/190 which can form a double bed. They are divided a room of independent shower with a stone Italian-style shower of valleys (Swiss stone). All the bathrooms have a hairdryer. You will also find in this floor a lingerie with washing machine, tumble-dryer, iron and ironing board and one independent toilet. The garden level gives access onto the garden. 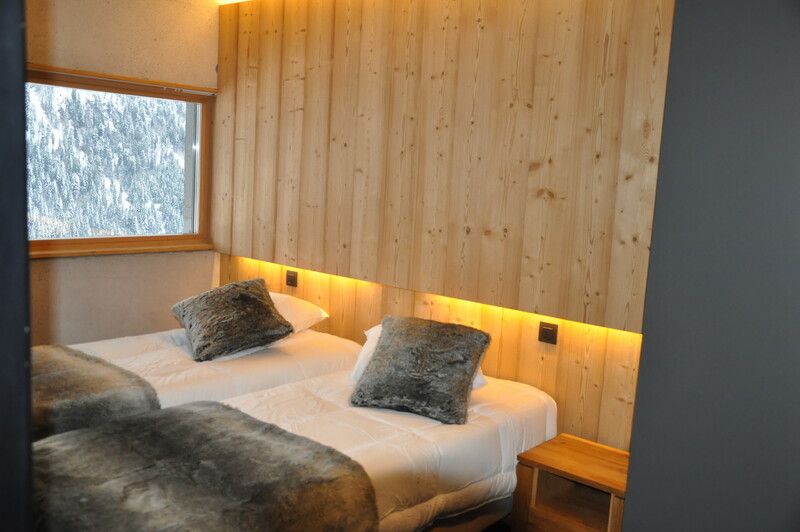 In the ground floor you ll find the garage, a space totally fitted out for the returns of hikes, ski, or simple strolls with its sandbank shoes and its arrangement for skis.